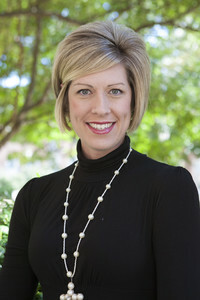 Melanie Wise Henningsen received her bachelor’s degree in nursing from Samford University in 2001 and began her nursing career as an emergency room/trauma nurse in Birmingham, Alabama. In 2005, Henningsen became a part-time clinical instructor where she developed a love for education and development of future nurses. She became a full-time Samford University employee in August 2013 as the undergraduate clinical coordinator. Through her desire for students to gain confidence prior to entering a clinical setting and to be an encouragement that reflects that nursing is an attainable and rewarding profession when hard work and dedication are applied, she decided to complete her master's in nursing education at Samford. She completed her graduate studies in May 2016 and currently serves as an instructor in the Ida Moffett School of Nursing and as the coordinator for the simulation center specifically with the standardized patient program.